The first unauthorized biography of its kind of Muhammad Ali, from an author with unique access to Ali’s inner circle. 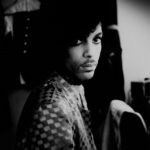 This richly researched, sympathetic yet unsparing portrait of a controversial figure for whom the personal and the political dramatically fused could not come at a more appropriate time in our beleaguered American history ... As Muhammad Ali’s life was an epic of a life so Ali: A Life is an epic of a biography. Much in its pages will be familiar to those with some knowledge of boxing but even the familiar may be glimpsed from a new perspective in Eig’s fluent prose; for pages in succession its narrative reads like a novel—a suspenseful novel with a cast of vivid characters who prevail through decades and who help to define the singular individual who was both a brilliantly innovative, incomparably charismatic heavyweight boxer and a public figure whose iconic significance shifted radically through the decades as in an unlikely fairy tale in which the most despised athlete in American history becomes, by the 21st century, the most beloved athlete in American history. …[a] stunning new biography of the champ … Eig recounts the champ's major bouts in dizzying detail. Even readers who don't care for boxing will be drawn in by his descriptions of the fights, ‘the cigarette and cigar smoke draping the air, the shouts, the moans, the voices screaming for holy blood’ … Ali's life was more complex than most other sports figures, and Eig's brilliant, exhaustive book is the biography the champ deserves: a beautiful portrait of a man whose name will never be forgotten, who carried a torch for equality and justice, and lit a fire that will never go out. ...[a] stunning biography ... Eig is far too precise of a biographer to draw conclusions based on conjecture. He lets the details of the story speak for themselves — and he has a lot of details, and a lot of stories. 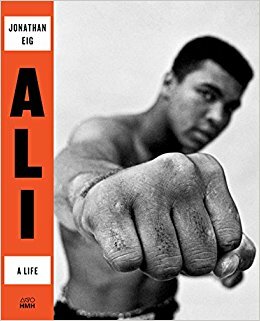 Ali is a big, fat, entertaining and illuminating read ... What makes Eig’s book stand out is its broad scope, its detailed reportage and its lively, cinematic writing ... Although race is a crucial theme, it is boxing that is at the heart of this book. The fight scenes are beautifully wrought — vivid and detailed, rich with description and metaphor...Eig’s research into the effects of head trauma make those scenes particularly excruciating to read. If Ali did not understand the damage that was being done, the reader most certainly does. What did you think of Ali: A Life?